The three Mandurah Rotary clubs, RC of Mandurah, RC of Mandurah Districts and RC of Mandurah City, again join forces to stage the fifth Mandurah Rotary Duck Race on Easter Saturday, 19 April 2014, in conjunction with Rotary family fun day and fair, including stalls, entertainment and activities for families young and old. Lots of rides for kids, performances, petting zoo, stalls. Come and have fun and watch the ducks race (About 3:00 pm) . Come on down to Mandurah on the train (just 48 mins from Perth) or by car on Easter Saturday and have a great day at the Family Fun day from 10:00 am to 4:00 pm. 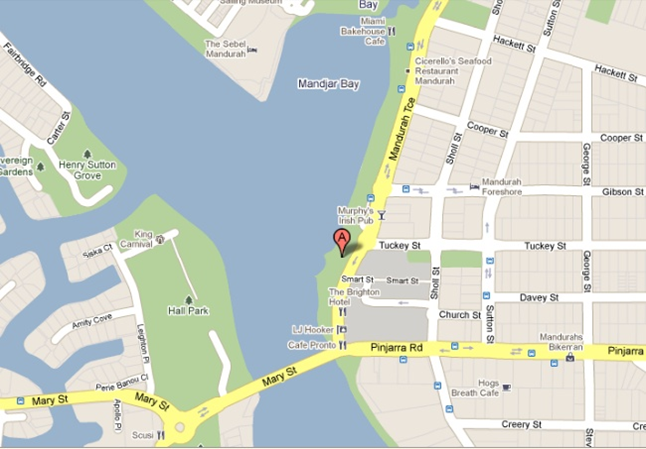 The event is in central Mandurah on the Eastern Foreshore - see map. There is a bus from the station. 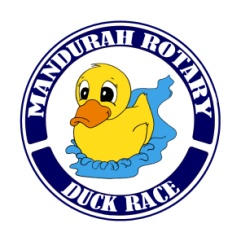 Objectives include - to provide a family fun day at Easter to benefit the Mandurah community and visitors; give Rotary some positive public exposure; and to raise funds for the Homeless Youth in Peel Region and Rotary community and International projects. The $4000 Diamond and Setting is generously donated by major sponsor Andrew Ralphs Jewellers. A Sponsor is The Good Guys at Cnr Pinjarra Rd and Lakes Rd MANDURAH. They have donated the large screen TV for the duck race and other prizes. Thank you to Paul Turnor, Manager of the Good Guys discount store in Mandurah. 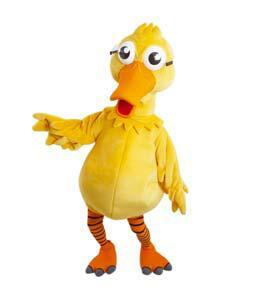 This year there is a Corporate Duck race as well with larger ducks participating on the same course for a different set of Prizes. Tickets for Corporate ducks cost $50 each and are also available online from the duck race website. The Corporate Ducks Competing on the day, will receive advertising by having their Duck called during the race & inclusion of their company name in our advertising. We will also have race boards with their business cards displayed for collection on the day. The Main Beneficiary for 2014 is Peel region Ho,meless Youth as well as Rotary Community and International projects.